I didn't make it to the theater to see Disney•Pixar's Incredibles 2 like my kids did. I just didn't have the extra time in my schedule. I did get the full run down from my daughter though after her brother took her to see it. And a second run down when her goodies came from TownleyGirl! Of course I almost forgot about posting this to share with you all we've been so busy this summer. Thankfully they still have plenty of stock to it's not too late to head on over to TownleyGirl and get yours for your Incredibles loving kiddos just in time for back to school! These Incredibles 2 lip balms can be her secret weapons to perfection! They feature her favorite powerhouse family and ooze with flavorful fun. Also included are nail stickers and a bonus mirror. Smashing! 2 shimmery lip balms, 1 sheet of nail stickers and bonus mirror. Colors and flavors include rose bubble gum and purple grape. Disney Pixar's Incredibles 2 packaging. Make her day incredible by giving the gift of Incredibles 2 lip balms. They can be her secret weapons to perfection! Each features a daring superhero and includes a fun ball topper. Can you feel the power? Assortment of 3 lip balms with ball tops and bonus bag. Lip balm colors and flavors include purple grape, rose strawberry and red cherry. Disney Pixar's Incredibles 2 packaging. Isn't this just incredible? 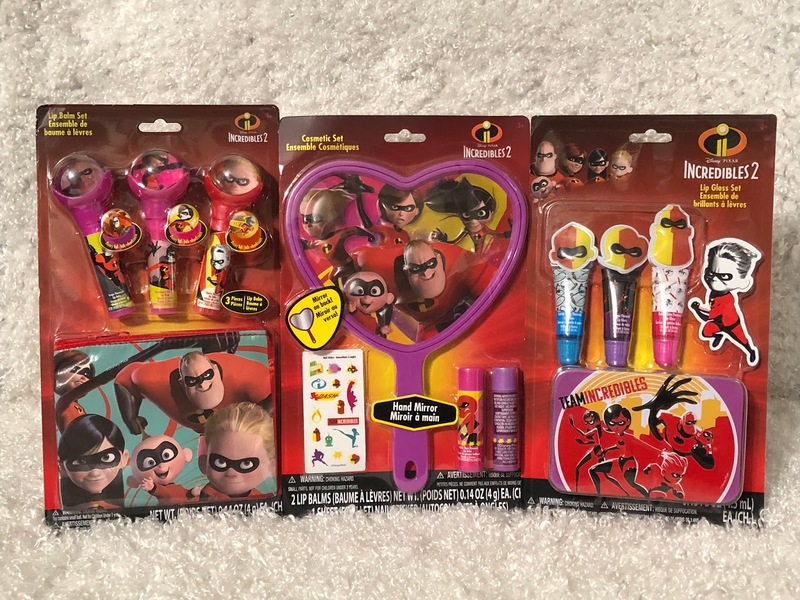 Incredibles 2 lip glosses featuring her favorite superheroes! Now she can battle dry lips like 1,2,3, Zap! by shining them to perfection. Assortment of 3 shimmery lip glosses, 1 sticker and bonus tin. Lip gloss colors and flavors include light purple grape, blue cotton candy and rose bubble gum. Disney Pixar's Incredibles 2 packaging. Disclosure: This is a sponsored post on behalf of the above mentioned brand. I may have received monetary compensation and/or product in exchange for my honest and unbiased thoughts. However, all thoughts and opinions stated are my own and are in no way influenced by my partnership with mentioned brands.